With the school funding crisis set to continue, writing bids to apply for grants or lottery funding is more critical now than ever. But where do you start? How do you devote the time? And how can you ensure success? Hear top tips and practical solutions to help you understand what you need to stand out and be successful with your bid. Learn how to cut through the red tape and speed up the process with this quick and easy guide through the most common pitfalls of making grant and lottery funding applications. 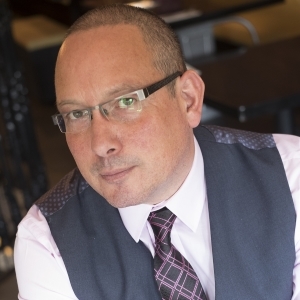 Howard Rose is a highly motivated individual with over 15 years' of experience running his own business, which he has now successfully adapted to fit in with his role as Director of Funding and Publicity in an Ofsted Outstanding Primary School. By developing new business relationships within the local community, tapping in to grants and negotiating sponsorship deals, Howard has raised considerable amounts of money and raised the profile of the school as well as raising money for charities. Howard has also won awards for his work with the school which include, The Chamber of Commerce Business in Education Partnership Award in 2015, Solihull Observer Business person of the Month in August 2016, as part of the Super 6, and he also scooped Solihull Business Person of the Year in November 2016. In 2017 he was named overall Business Person of the Year by Solihull Observer. As well as being a regular speaker at conferences and networking events, Howard is also a contributor to national schools magazine, FundEd, that goes out to 28,000 schools. What if I am successful? What if I am not successful?